It’s a good idea to see a dentist or periodontist if you deal with gum recession, but you should also know why the problem came about in the first place. See this video to find out what exactly gum recession is. Gum recession is often associated with gingivitis and periodontitis, and it occurs when the gums pull away from the teeth. 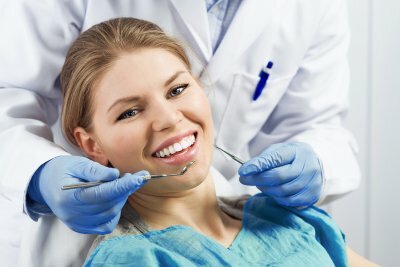 You might also experience gum recession if one or more of your teeth are not in favorable positions, as this kind of displacement can aggravate the gums. Gum recession is also associated with gum disease, which can contribute to tooth migration and tooth loss in addition to an overall decline in health. Don’t wait to deal with gum recession. Instead, call Glenwood Premier Dental at (732) 264-4477. We are cosmetic dentists in Hazlet who handle root canals, dentures, and gum disease. Visit our website or come in and see us today. There is more to each of your teeth than the enamel covering. When problems occur in the central areas of your teeth, you might need to talk to your dentist about a root canal. This can treat problems with the pulp of your tooth, and it’s not as uncomfortable as you might think. Read on for a lesson in root canal therapy. Not everyone knows what a root canal is, and part of the reason is that not everyone needs one. Root canal treatment is typically reserved for those who experience problems with extreme tooth decay or infections of the pulp . These kinds of issues are problematic for your overall health as well as your oral health, and your dentist will likely suggest a root canal as part of your treatment plan. 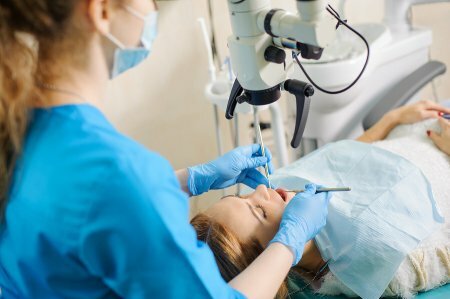 The purpose of a root canal is to clear out the decay or infection in your tooth, which can restore your oral health and prevent the existing problems from developing even further. Throughout your root canal procedure, your dentist will remove the infection from your tooth by clearing out the pulp. This helps to save the natural tooth, alleviate the painful and uncomfortable symptoms associated with infections and abscesses, and bolster your oral health. The procedure is called a root canal because the focus is on the canal in your tooth that leads to the root. You can also find the pulp of your tooth in this canal, which is what is removed through treatment. After taking x-rays, your dentist will drill an access hole in the affected tooth and clean out the infected pulp material. He or she will flush the debris away throughout the process and then seal the tooth once the infection has been removed. To learn more about root canals near Hazlet and see if you might need one, talk to the professionals at Glenwood Premier Dental. Our team includes some of the best dentists in the area, so visit our website or give us a call at (732) 264-4477 to learn about our cosmetic dentists.